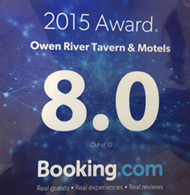 The Owen River Tavern - Rest and Recreation Centre is a family business owned and operated by John and Kim Siu. John and I migrated from Hong Kong to New Zealand in 1987 and found the crème de la crème of scenic beauty, the Owen River region. 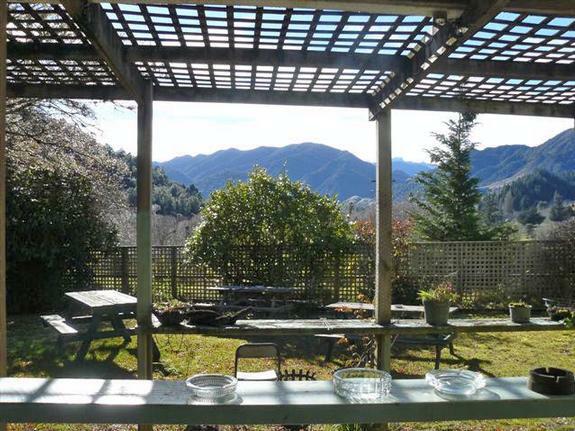 This paradise location is nestled in the northwest of New Zealand's South Island. We purchased the Owen River gem of a property and leased it for 10 years. In 1997, we began managing the business ourselves and have been doing so ever since. In January 2003, we enhanced our accommodation and lodging options with the addition of a newly constructed cozy six-unit motel. 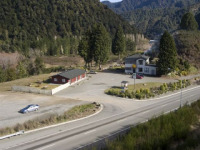 Owen River Tavern and Motel is located in the small settlement of Owen River on State Highway 6 about 18 kilometres northeast of Murchison and 115 kilometres southwest from Nelson. The landscape is quite diverse with mountainous areas, lush bush and beautiful waterways. The Owen River originates from its headwaters on the slopes of Mount Owen (1,875 metres) then after 20 kilometres it flows into the magnificent Buller River just below the Tavern. Mount Murchison (1,370 meters) lies southeast of Owen River Tavern and Motel. 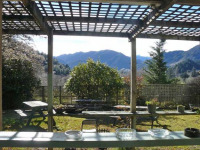 The area has plenty of activities to satisfy one's interests such as Trout Fishing, Hunting, White-Water Rafting, Caving, Cycling, Horse Treks and Tramping amongst some of the gloriously breathtaking scenery that New Zealand has to offer. There is a great put-in / take-out boat ramp located on site to launch your boat or kayak into the Buller River. 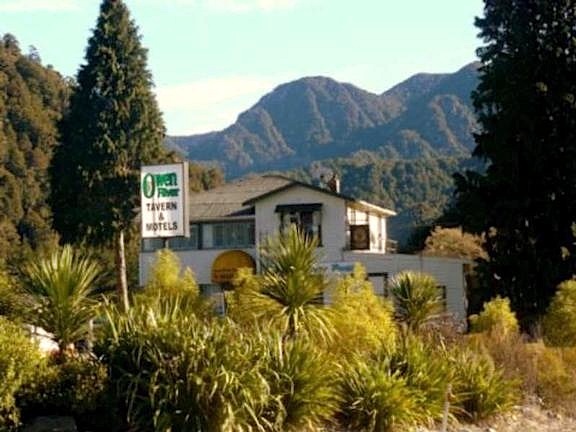 Owen River Rest and Recreation Centre provides well equipped spacious campsites and immaculate motel accommodations for your relaxing comfort as you explore the surrounds of the Owen River in New Zealand's South Island. 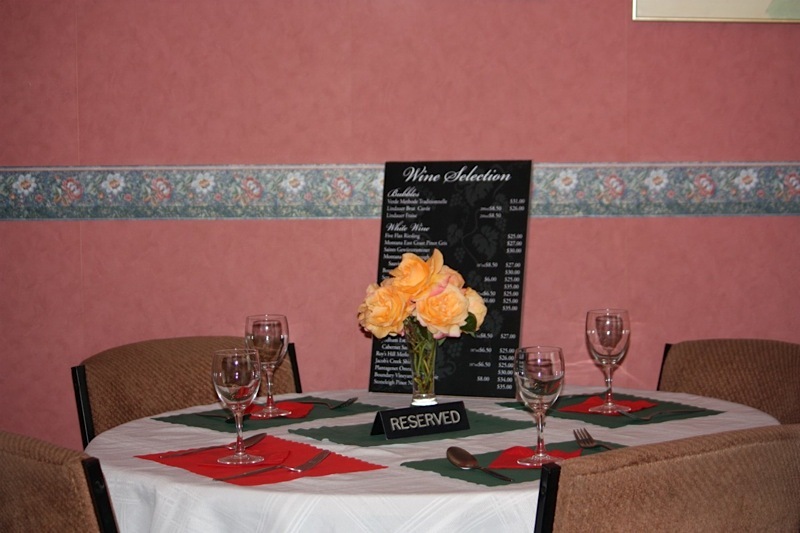 Your hosts, Kim and John, deliver friendly country hospitality and their rest and recreation centre has a wide range of accommodations to suit your recreational interests. The area is accentuated by dramatic mountainous landscape with swirling river valleys. There are plenty of activities to partake in and beautiful sights to see. Whether you are just passing through or stopping over for a few days, the Owen River Tavern and Motel – Rest and Recreation Centre has a whole lot to offer.